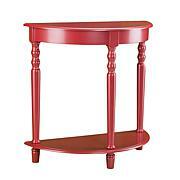 You love modern furniture, so create that feel in your living room with this contemporary table. The brushed silver finished frame with black distressing creates a geometric shadowbox effect with the glass tabletop and convenient shelf. 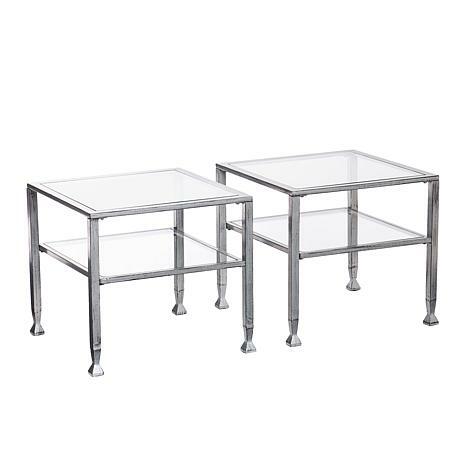 It's fit for small spaces or place multiple units together for a larger cocktail table. 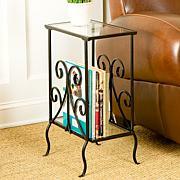 Then use the two-tiered design for displaying your precious keepsakes, books, photos or other décor. 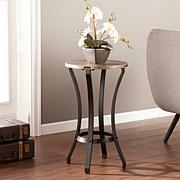 Slight variations in distressed finish may occur.